At the University of Utrecht (Netherlands) I teach philosophy, conduct research in the field of the history of (modern) philosophy and supervise the research project "The Quest for the System in the Transcendental Philosophy of Immanuel Kant" granted by NWO, Netherlands Organisation for Scientific Research (NWO/Innovational Research Incentives Scheme). Hitherto unknown Dutch translation of Immanuel Kant's "Erklärung gegen Fichte" from 1799 is found, see "News" here, a pdf-edition is provided. 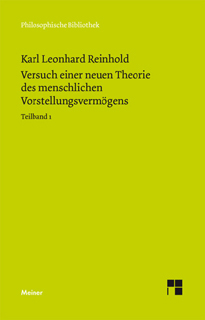 Recent review: Karl Leonhard Reinhold, Briefe über die Kantische Philosophie. Erster und zweiter Band, mit einem Kommentar herausgegeben von Martin Bondeli, Schwabe 2007 und 2008, in: Tijdschrift voor Filosofie 72/1 (2010), p. 165–167. Mit einer Einleitung und Anmerkungen herausgegeben von Ernst-Otto Onnasch. PhB 599a. 2010. CLVII, 210 Seiten. November 21: Radio broadcasting on neurosemanitc search machine (in Dutch), Radio 1, Tros Radio-Online (click the link for replay).